Sign up to receive our updates so we can keep you updated and let you know when we need you to contact Congress on an issue. 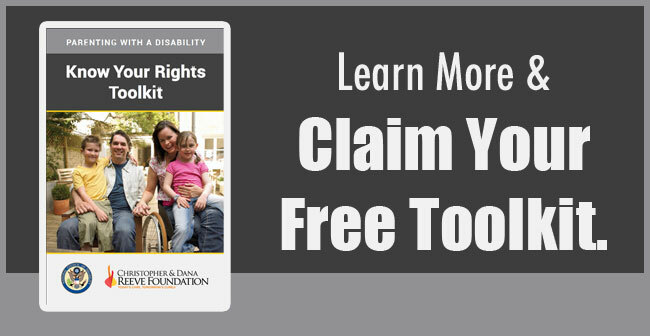 Plus, we'll send you a free copy of Parenting with a Disability: Know Your Rights Toolkit. In 1923, the Supreme Court established parental rights. Mainstream Americans have long enjoyed a heritage of parental rights. In 1927, the Supreme Court denied those rights to parents with disabilities. In an embarrassing eugenics-era decision made on May 2, 1927, in Buck v. Bell, the U.S. Supreme Court held that persons with disabilities do not enjoy the same fundamental rights to make private decisions regarding family life as other Americans. Sadly, this case that re-routed parents with disabilities off the high road of fundamental parental rights remains the precedent to this day. 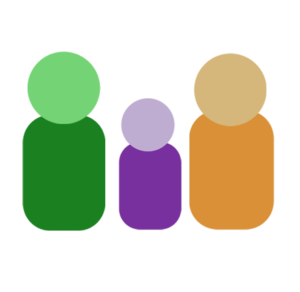 Even in this age of the Americans with Disabilities Act (1992), parents with disabilities still see their children taken away on account of their disability. There are 4.1 million parents with disabilities in the U.S.
5.6 million Americans live with paralysis due to stroke, multiple sclerosis, spinal cord injury, traumatic brain injury, neurofibromatosis, cerebral palsy, post-polio syndrome, other. 1 in 10 children have a parent with a disability. In every state, disability of the parent can be included in determining the best interest of the child. DC, GA, KS, MD, MS, ND, NM, OH, OK, & SC allow physical disability as the sole grounds for terminating parental rights, even without evidence of abuse or neglect. Sara Gordon - Massachusetts was caught committing "extensive, ongoing violations" of the Americans with Disabilities Act in their removing of Sara Gordon's baby simply because Sara has a disability, according to a 2015 letter from the U.S. Department of Justice. In 2000, the Supreme Court left parental rights for all unprotected. 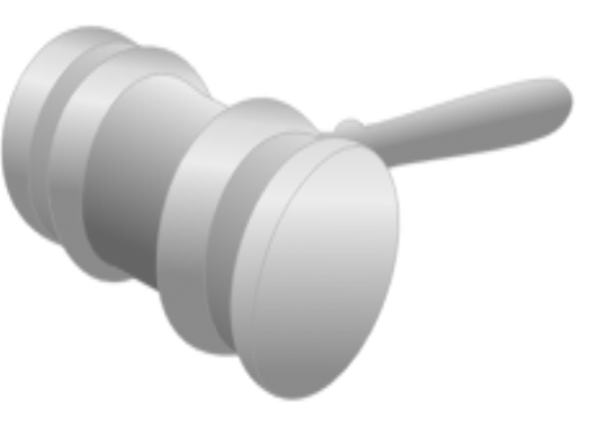 In 2000, U.S. Supreme Court reviewed the law in Troxel v. Granville, 530 U.S. 57 and came to a split decision that left no clear standard for future cases and has caused massive confusion in the courts regarding parental rights. Essentially, this ruling put all parents on the same footing: with their parental rights subject to the judge's whim on a case-by-case basis. View the links on this page to see shocking stories of children across the country who have been taken from legally fit parents. There is a growing tendency to undermine parental rights and assume someone other than the parent knows best. Since parental rights are not clearly protected by law, there's also room for racial bias in decisions. For nearly 75 years, parents with disabilities were forced to travel a different road than those without. And now we are all on the same road -- only it's the road none of us wants to travel. protect parental rights for all. Now that all parents are facing what parents with disabilities faced for years--the lack of protection of parental rights--the public outcry should be large enough to address this issue for all Americans. How? The only way to reverse a Supreme Court's decision is through another Supreme Court decision, or via an amendment to the Constitution. Since the Supreme Court has not shown an inclination to reverse itself, we need to act now with a Parental Rights Amendment to the United States Constitution. The proposed Parental Rights Amendment includes wording to make sure that parental rights are protected for all, including people with disabilities. Section 4. 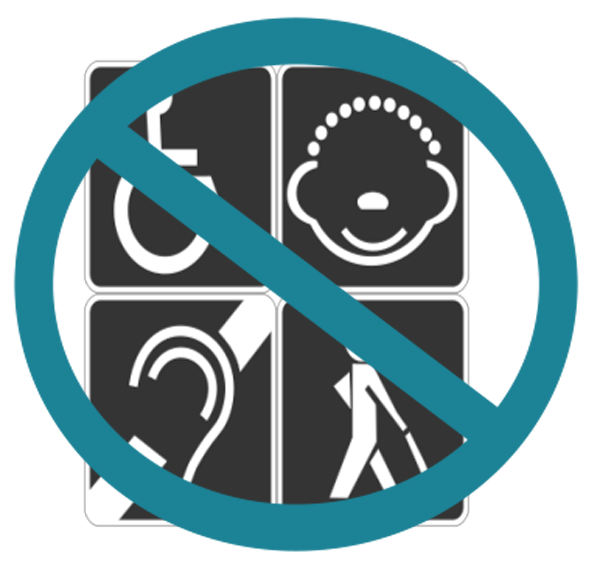 The parental rights guaranteed by this article shall not be denied or abridged on account of disability.